RE B&B is a warm and friendly place, run by its owners, Ana and Federico, young entrepreneurs, who loves to enjoy travelers, music, art and design. 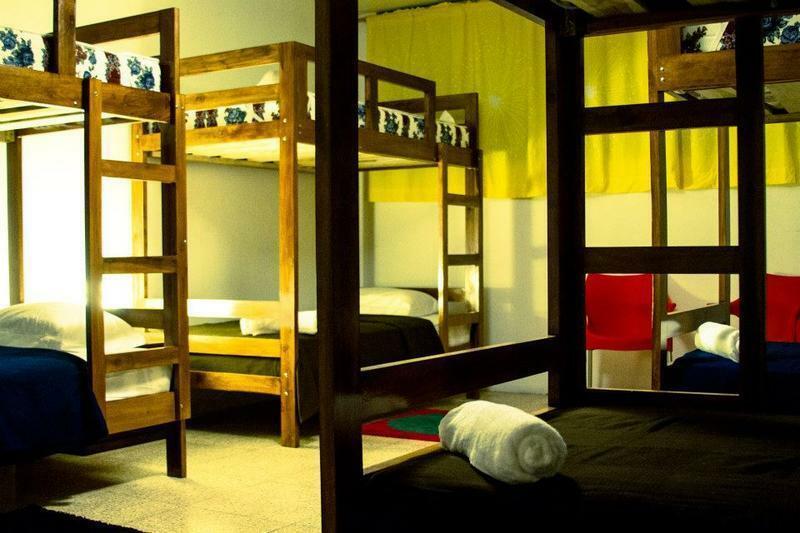 We have 5 big rooms, 4 privates rooms with private bathroom, 1 dorm room with shared bathroom. We love to recycle, our tables are made with recycled palets and our colorful chairs also are recycled from friends, the result is a colorful and eclectic style in the living and dining room. We love colors, patterns, geometric style, you will found a lot of this in the place. Kitchen opens 13h to 21h. Take the OFFICIAL airport taxis company (talk with the man with the radio) please DO NOT TAKE another taxis, in Guayaquil you have to keep away of the taxi drivers that can kidnapping you. You can recognize the official taxis because they have printed in the door 'cooperativa de taxis aeropuerto' and because is a guy with a radio in the hand taking notes about how many people need taxi. Terminal terrestre: Across the street, get into the metrovia building (Terminal Rio Daule), take the big bus direction south, till BOCA 9 station (BoyacÃ¡ and JunÃ­n street) then, in Junin street, walk 3 blocks direction MalecÃ³n 2000 until before arrive to Cordova street, look for number 428 on the left side and then go to the 3th floor.